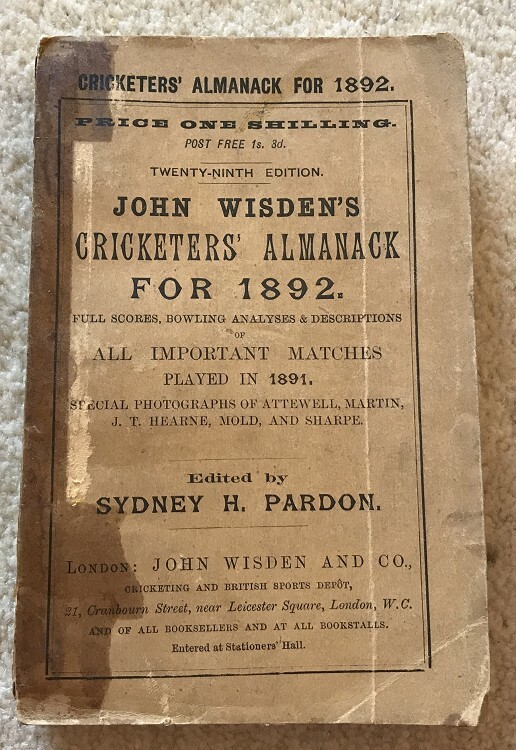 This lot is an Original 1892 Wisden Paperback. In OK Condition and 100% Original. The main issue with the book is that it has had tape to the spine which has worn away over time but has left a dark residue. There is a crease to the front cover from top to bottom as shown. Internally with nice clean pages, some spotting to the page block , great photoplate. Just the tape that knocks it down.